Language Boat describes this as learning language in your sleep. I think it might be more accurate to describe this learning language as you fall asleep. There is good evidence that studying something just before you fall asleep improves memory. While the research on sleep learning has yielded mostly negative results, this approach is novel and I will keep an open mind. 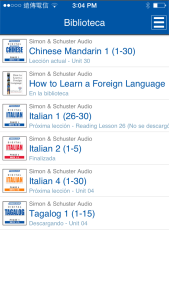 Download a Pimsleur language course of your choice. Preferably a language that you have not studied before. Pimsleur courses are fairly spendy, so you can experiment with the free Tagalog course first. Listen to the first lesson as you are falling asleep. Lessons are about 30 minutes long. For the next several nights, repeat, until you begin to “hear” phrases from the language in your mind. Stick to lesson one or two, until this happens.